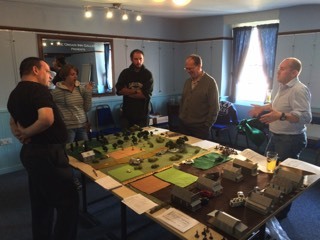 Wassail Beagles is a small informal group of adult war gamers from the Wiltshire/Somerset area. 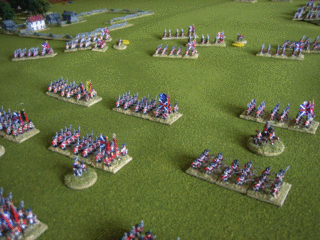 We primarily play historical wargames, and used to meet at the splendid The Organ Inn, Warminster, Wiltshire. We have now shifted westwards and play most of our games with the Abbeywood Irregulars. We offer a very friendly atmosphere, coverage of a wide range of historical periods for land, sea, and air games, and interesting discussion about the history behind the games. 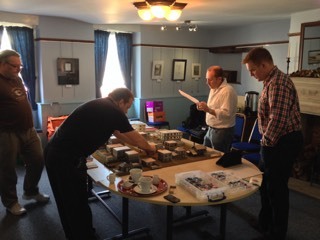 If you are interested in historical wargaming for fun, come along and join us. If you are a member you can also view the Wassail Beagles Forum. (Future historians please note: we grew out of the wargaming section of the excellent boardgames club Wassail Games Club, from the Frome area of Somerset). These have more details of the games we play, and the schedule for upcoming games.